The Chieftains improve to 2-3 behind a record-setting performance by quarterback Matt Langevin against Simsbury. 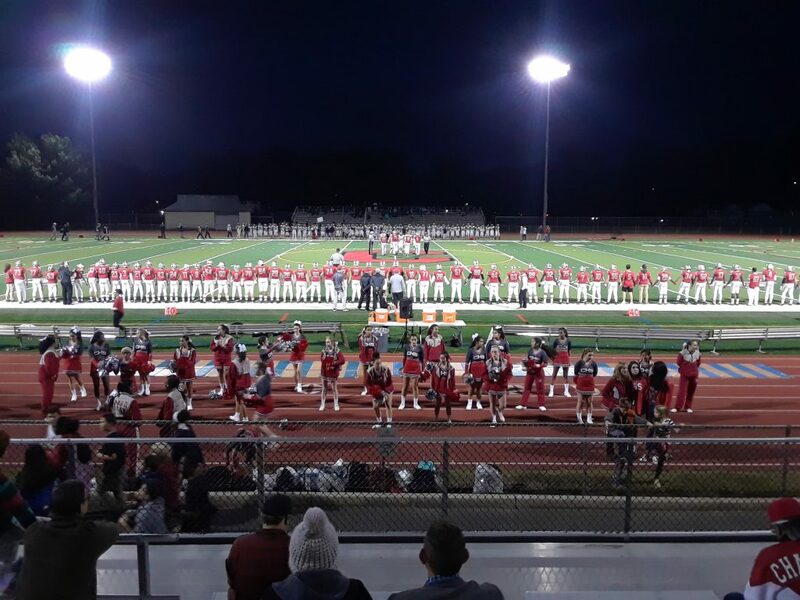 Conard quarterback Matt Langevin scored six touchdowns as the Chieftains rolled past Simsbury 41-28 Friday night at Robert J. McKee Stadium in West Hartford. Langevin completed 22 of his 36 passes for 406 yards and five touchdowns, and ran one in, leading an offensive outburst for Conard over the Trojans. Langevin set the school record for passing yards in a game, surpassing Ryan Bell’s 402 yards against RHAM in 2013. He also tied the mark for most passing touchdowns in a game, joining Bell and Jack Moore, who threw five TDs in 2013 and 2017 respectively. Silas Bridges (seven receptions, 108 yards) and Justin Furze (five receptions, 154 yards) caught two touchdowns each, while Sean Guevara tallied one of his own. Getting the ball to the team’s playmakers early was a point of emphasis, according to Conard head coach Matt Cersosimo. Despite Simsbury entering the game 0-4, Cersosimo knew the Trojans would be a tough opponent as they continued to battle the entire 48 minutes. The Chieftains opened the scoring with a 10-yard pass from Langevin to Guevara. Conard went for two to take an 8-0 lead with 4:46 left in the first quarter. The Chieftains quickly added to their lead as Langevin found Bridges on a 57-yard connection less than two minutes later. A missed PAT kept the score at 14-0 with 3:04 remaining in the quarter. Simsbury answered with a big play of its own near the end of the first quarter. Trojans quarterback Jackson Butler connected with Jeffrey Coleman on a 63-yard touchdown with 1:17 remaining, cutting the Chieftains’ lead to 14-7. Langevin found the end zone on a 3-yard carry halfway through the second quarter to put Conard up 21-7. 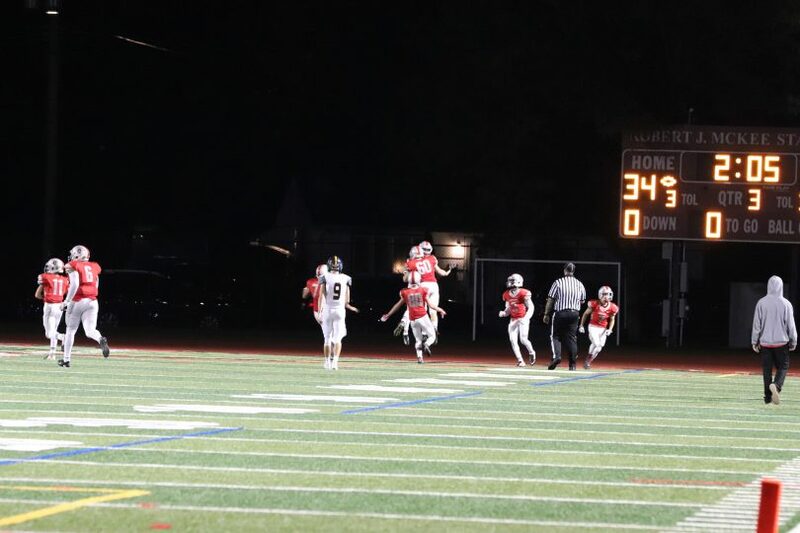 A roughing the kicker penalty on Simsbury allowed the Chieftains to continue the drive for the eventual touchdown. The Trojans managed to tie the game with two scores before the half. Butler found Coleman again, this time for a 38-yard touchdown with 3:22 in the half. Butler also connected with Jackson Harper from eight yards out with 28 seconds left, tying the game at 21. The Chieftains established a 20-point lead in the second half and never trailed in the contest despite being tied at halftime. 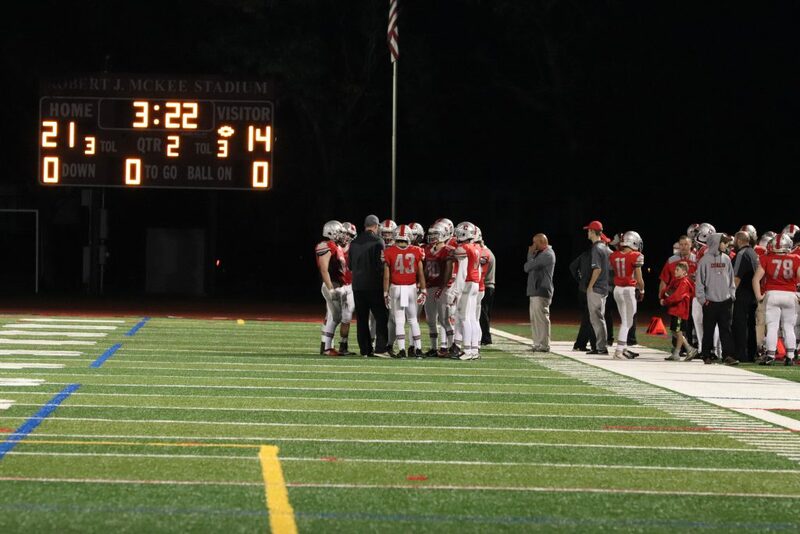 Conard nearly doubled its lead in under 90 seconds of play late in the third quarter. On three successive plays from scrimmage, Langevin threw a 17-yard touchdown to Bridges with 3:33 remaining, a 31-yarder to Furze on a trick play at the 2:23 mark, and a 34-yarder to Furze at 2:05 as the Chieftains went up 41-21. Butler rushed for a 7-yard touchdown at the 1:12 mark in the fourth quarter, narrowing the margin to 41-28. Conard stepped up on defense and special teams as well, making key plays to keep the lead intact. Three Chieftains recorded an interception in the second half. 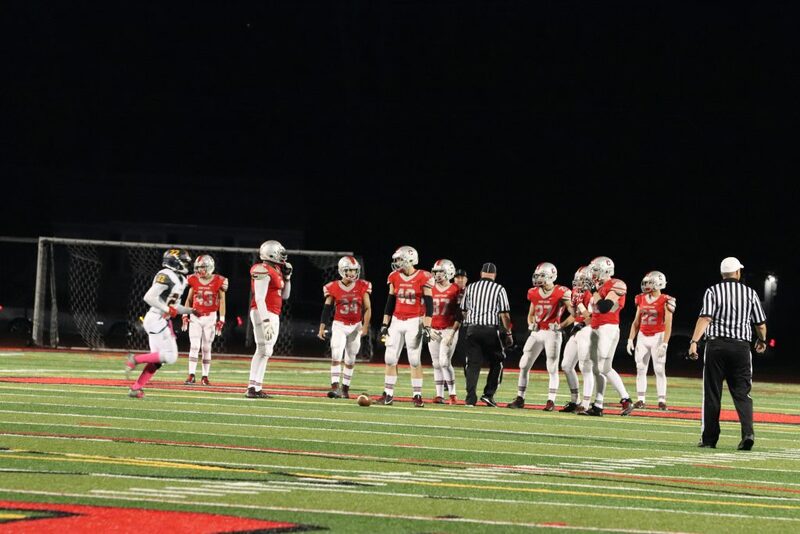 The kickoff unit recovered a fumble that set up a scoring drive, and Conard recovered a late onside kick attempt by the Trojans before kneeling to end the game. Halfway through the season, the Chieftains head into a crucial bye week before they take on local powerhouse Southington (5-0) on Oct. 19. 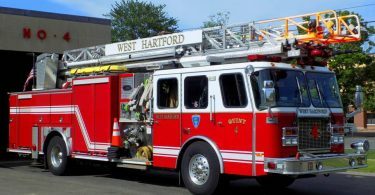 The Blue Knights defeated New Britain Friday night, a team that Conard fell to 35-0 in its season opener on Sept. 7. Since then, the Chieftains have competed in every game and look to continue their progress in two weeks as they improve to 2-3 on the season.